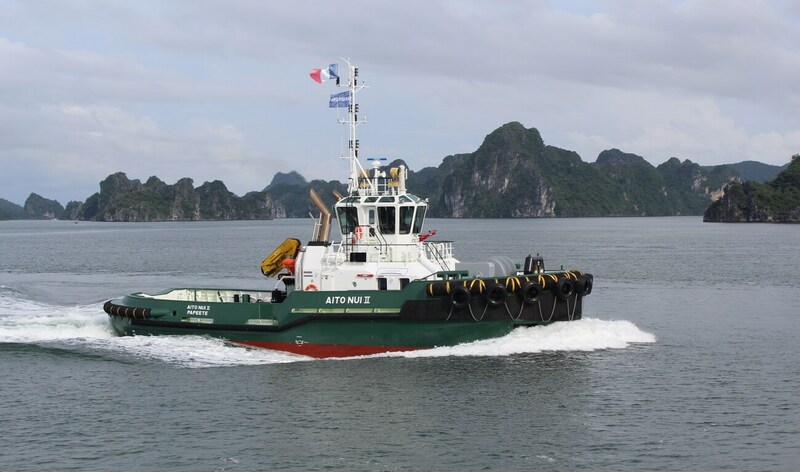 Home › Sea Tug › ASD Tug › ASD Tug 2810 › ASD Tug 2810 "AITO NUI II"
Damen Shipyards recently delivered a new ASD Tug 2810 to its owner Port Autonome de Papeete. The AITO NUI II was purchased to assist larger vessels operating in the region. The 62 tonne tug, built at Damen Song Cam Shipyards in Vietnam, is equipped with an aft winch, crane and fire-fighting system.